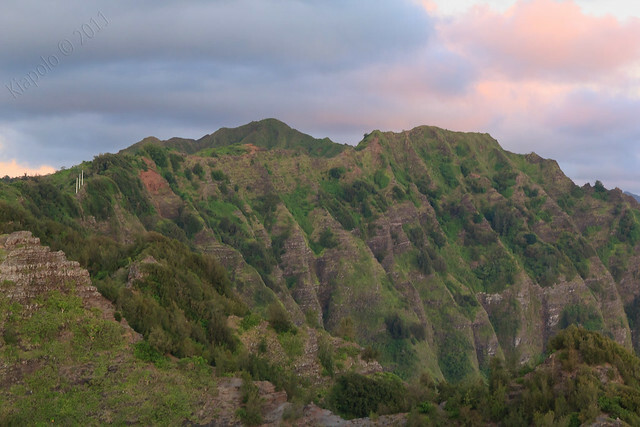 Kai and I woke up early on Saturday and Sommer dropped us off at the top of Mariners Ridge for a hike along the Ko`olau Summit Trail (KST) to Kamehame Ridge. 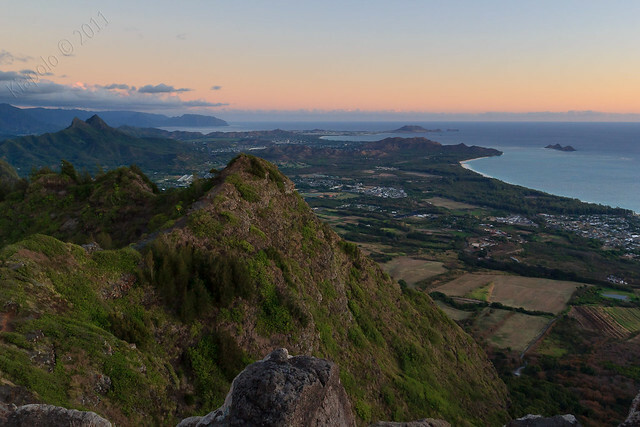 We started Mariners Ridge in complete darkness hiking by the light of my headlamp. 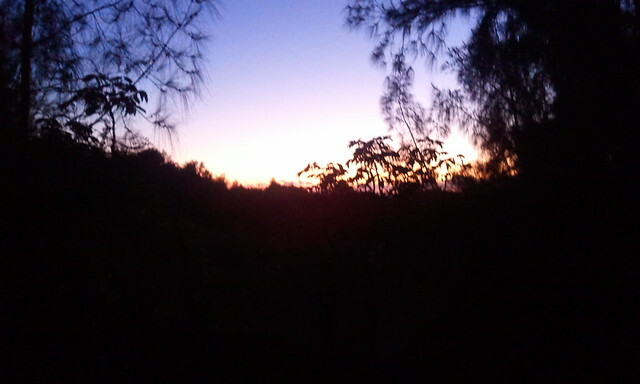 Within an hour we had topped out at the summit of Mariners Ridge, just as the sun peaked over the horizon. 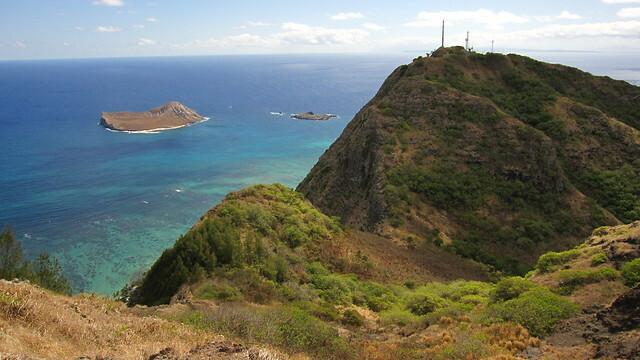 From the top of Mariners Ridge we turned right and made out way across the KST toward Kamehame Ridge. 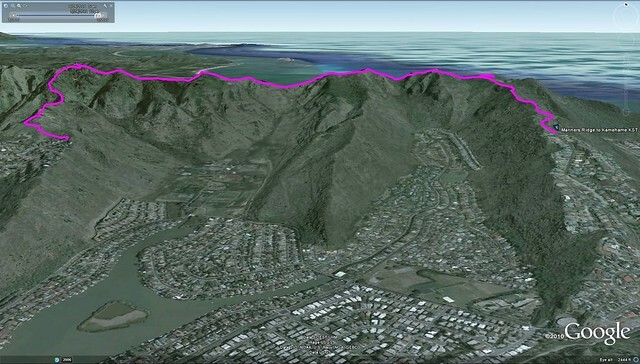 The KST between Mariners and Kamehame is ungraded and follows the Ko`olau ridge-line. 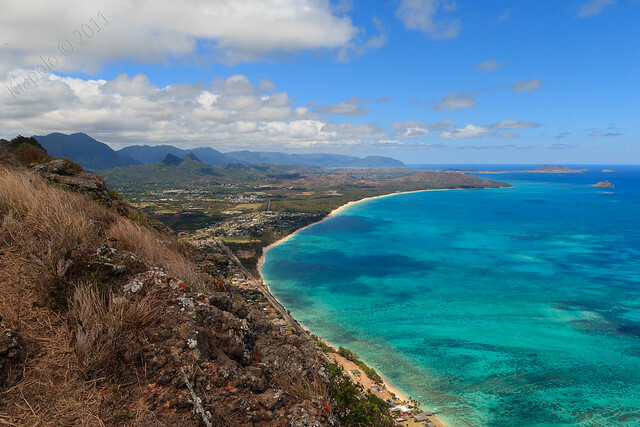 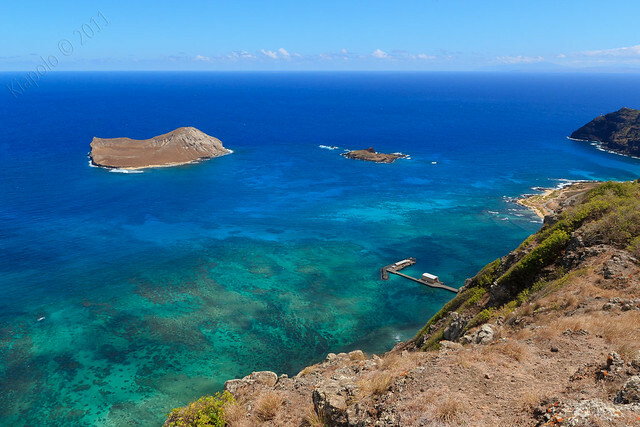 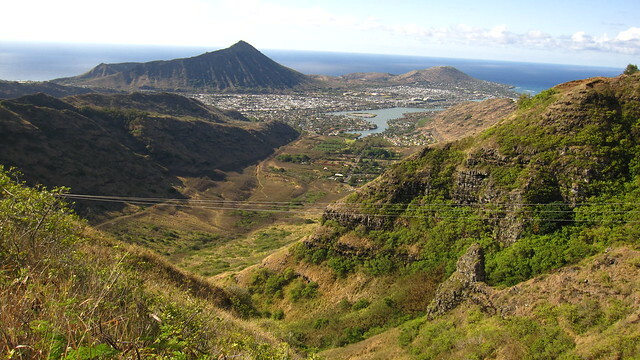 Along the KST are expansive views of Waimanalo and Hawaii Kai. 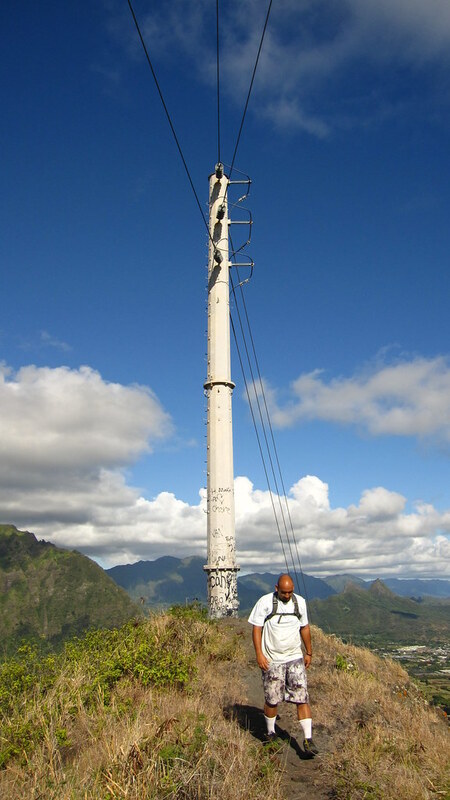 About halfway between Mariners and Kamehame is the powerline at the junction with Tom Tom trail that drops down the windward side of the Ko`olau into Waimanalo. 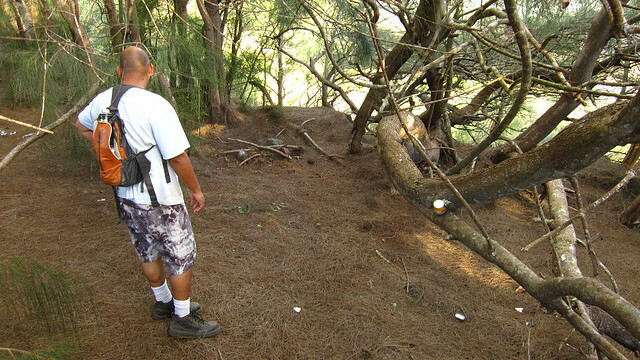 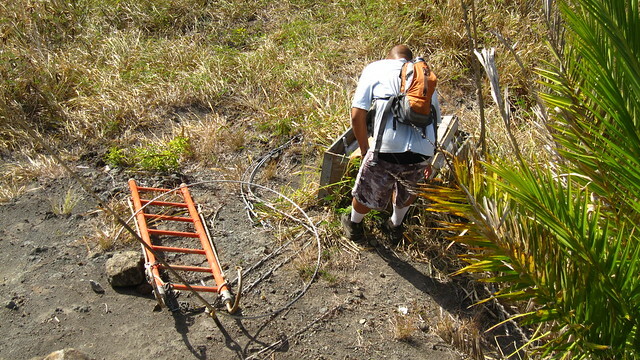 HECO left some tools and items along the trail. 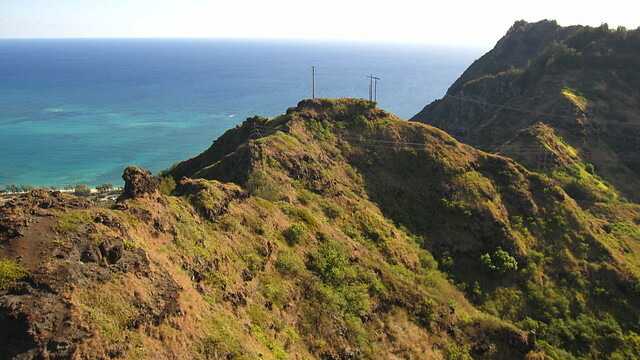 From the Tom Tom junction the KST makes one big dip, almost to the elevation of the Mariners Ridge trailhead. 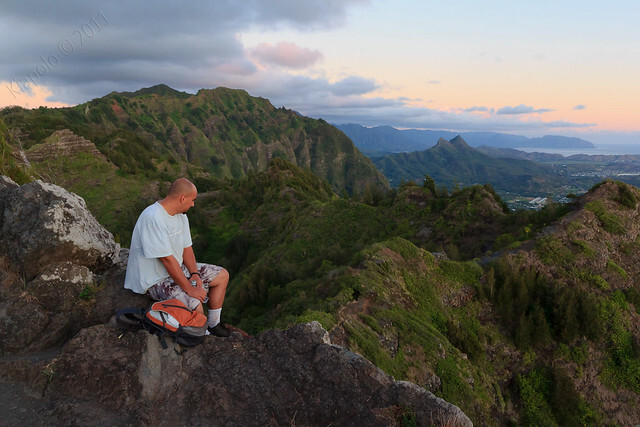 The KST raises to the Kamiloiki Ridge before making one last dip before rising again to Kamehame Ridge. 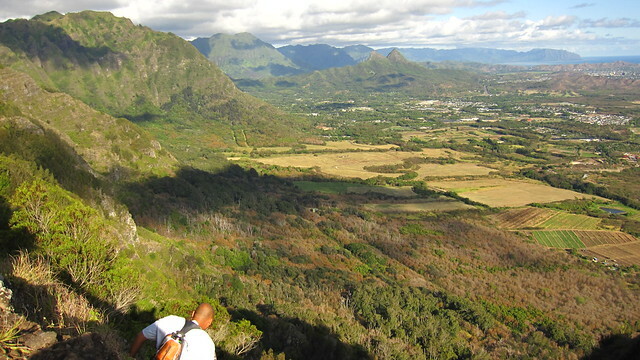 One last scramble up the KST to Kamehame and the rest of the hike was a road walk. 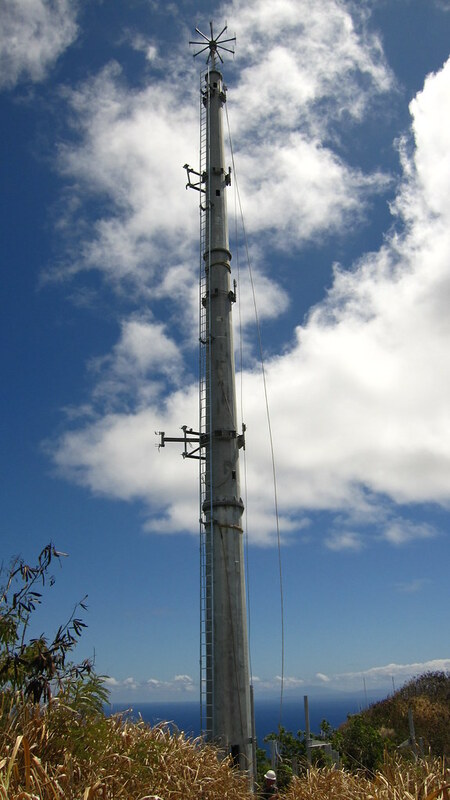 There was a crew at the top of Kamehame Ridge installing a new communication tower. 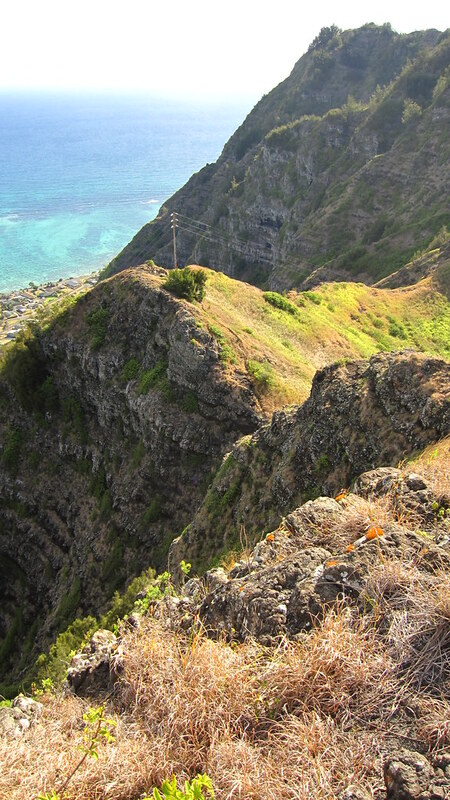 Kamehame Ridge and the hang glider launch pad offered impressive views of Makapu`u and the Windward Coast.